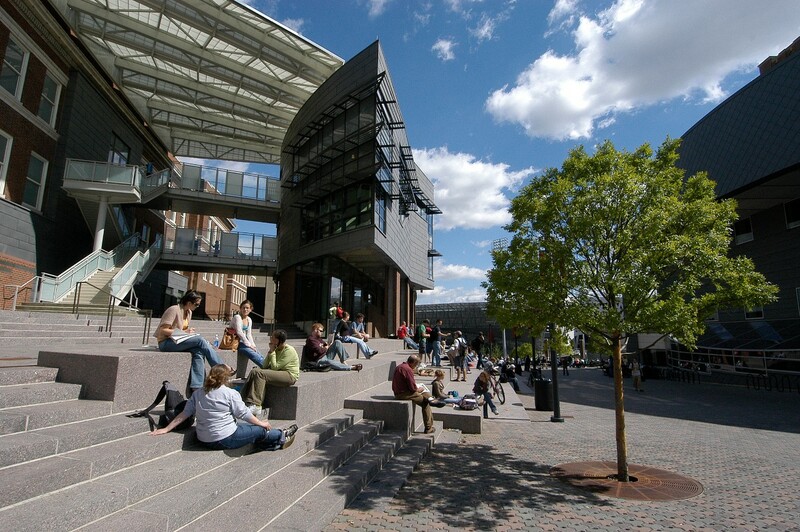 Students at UC Blue Ash College are students of the University of Cincinnati, which means you can take advantage of the benefits and services offered to all UC students. In addition, UC Blue Ash has a free shuttle service for UC students, making it easy to travel to and from the UC Uptown campus. Limited Free Football Tickets for Students! There will be a select number of tickets for the student section of each game available to be picked up at UC Blue Ash. Tickets will be available approximately 10 days before each game. Students are allowed to get 1 (one) ticket, and they must have and show their UC ID in order to get the ticket. Tickets will be available in the Student Life Office (Muntz 123). UC Blue Ash offers a free shuttle that runs between the Blue Ash and Clifton campuses during the semester. The shuttle begins pick-up at 7:00am in the Rec Center Circle on the UC Uptown campus. Shuttles run between campuses until 9:00pm Monday-Thursday and until 5:00pm on Friday. Shuttles arrive at each location approximately every 45 minutes. Access the Recreation Center on the Uptown Campus by completing a membership application at the facility. Since UC Blue Ash students are not required to pay the Campus Life fee, they are required to pay $120/semester for membership to the Recreation Center. Get the full details on the UC Rec Center. Take part in the action of all UC Athletics! As a UC student, you can access student tickets to your favorite athletic events. Contact the UC Ticket Office at 1-877-CATS-TIX (228-7849) or visit the UC Athletics online home for more information. UC Blue Ash students can apply for on-campus housing and meal plans on the Uptown Campus. For more information, visit the UC Housing headquarters or contact UCHousing@uc.edu or 513-556-6461. Access the Counseling Center on the Uptown campus for professional counseling and support. Find more information on the main counseling website or call 513-556-0648. You have access to University Student Health Insurance and health services on the Uptown Campus. Schedule an appointment and find more information at at the University Health Services website or by call 513-556-6868.